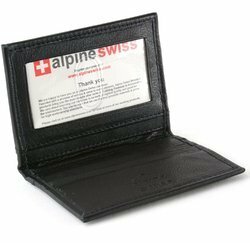 Our range of products include business visiting card holder, dual visiting card holder, visiting card holder and leather dual visiting card holder. This is promotional Business Visiting Card Holder. Easy to carry and convenient for use. 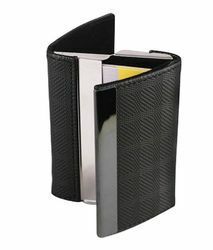 Can hold 25-30 standard Business Card Appx. 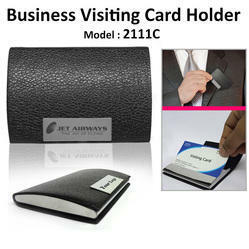 Business card holder credit card organizer case. This is promotional Dual Business Visiting Card Holder. Two side you can keep Visiting Cards / Debit Card / Credit Card / PAN Card etc.. Stylish attractive design. Engraved Logo printing Possible.Material Rexine. This is stylish Business Visiting Card Holder, Made for specially Promotional Gifts. Stylish Look with Steel Plate. Logo Printing space available on steel Plate.Engraving Printing possible. Can hold 15-20 standard Business Card.